The two great ancient epics of India, Ramayana and Mahabharata (c. 1000-500 BC) are centered on conflicts and refer to military formations, theories of warfare and esoteric weaponry. Few years ago, the Chinese discovered some sanskrit documents in Lhasa, Tibet and sent them to the University of Chandrigarh to be translated. Dr. Ruth Reyna of the University said recently that the documents contain directions for building interstellar spaceships! Ancient manuscript – Vimanas The secret of constructing aeroplanes, describes Vimanas which will not break, cannot be cut, will not catch fire, and cannot be destroyed. Also the secret of making planes motionless, making planes invisible. hearing conversations and other sounds in enemy planes. The secret of receiving photographs of the interior of enemy planes. The secret of ascertaining the direction of enemy planes approach. The secret of making persons in enemy planes lose consciousness. The secret of destroying enemy planes. "The pilot is one who knows the secrets"
"The pilot should have had training in maantrica and taantrica, kritaka and antaraalaka, goodha or hidden, drishya and adrishya or seen and unseen, paroksha and aparoksha, contraction and expansion, changing shape, look frightening, look pleasing, become luminous or enveloped in darkness, deluge or pralaya, vimukha, taara, stun by thunderstorm din, jump, move zig-zag like serpent, chaapala, face all sides, hear distant sounds, take pictures, know enemy maneuver, know direction of enemy approach, stabdhaka or paralyse, and karshana or exercise magnetic pull. In the Mahabharatra, an ancient Indian poem of enormous length, we learn that an individual named Asura Maya had a Vimana measuring twelve cubits in circumference, with four strong wheels. The poem is a veritable gold mine of information relating to conflicts between gods who settled their differences apparently using weapons as lethal as the ones we are capable of deploying. Apart from ‘blazing missiles’, the poem records the use of other deadly weapons. ‘Indra’s Dart’ operated via a circular ‘reflector’. When switched on, it produced a ‘shaft of light’ which, when focused on any target, immediately ‘consumed it with its power’. This quotation comes from the translation by N. Dutt in 1891: "At Rama's behest the magnificent chariot rose up to a mountain of cloud with a tremendous din.." We cannot help noticing that not only is a flying object mentioned again but also that the chronicler talks of a tremendous din. Here is another passage from the Mahabharata: "Bhisma flew with his Vimana on an enormous ray which was as brilliant as the sun and made a noise like the thunder of a storm." ( C.Roy 1899). Even imagination needs something to start off. How can the chronicler give descriptions that presuppose at least some idea of rockets and the knowledge that such a vehicle can ride on a ray and cause a terrifying thunder? Certain numerical data in the Mahabharata are so precise that one gets the impression that the author was writing from first-hand knowledge. Full of repulsion, he describes a weapon that could kill all warriors who wore metal on their bodies. If the warriors learned about the effect of this weapon in time, they tore off all the metal equipment they were wearing, jumped into a river, and washed everything they were wearing, and everything they had come in contact with very thoroughly. Not without reason, as the author explains, for the weapons made the hair and nails fall out. "It was as if the elements had been unleashed. The sun spun round. Scorched by the incandescent heat of the weapon, the world reeled in fever. Elephants were set on fire by the heat and ran to and fro in a frenzy to seek protection from the terrible violence. The water boiled, the animals died, the enemy was mown down and the raging of the blaze made the trees collapse in rows as in a forest fire. The elephants made a fearful trumpeting and sank dead to the ground over a vast area. Horses and war chariots were burnt up and the scene looked like the aftermath of a conflagration. Thousands of chariots were destroyed, then deep silence descended on the sea. The winds, began to blow and the earth grew bright. It was a terrible sight to see. The corpses of the fallen were mutilated by the terrible heat so that they no longer looked like human beings. Never before have we seen such a ghastly weapon and never before have we heard of such a weapon. (C. Roy 1889). It is presumably still around somewhere, kept in a secret library in India, Tibet or elsewhere (perhaps even in North America somewhere). One can certainly understand Ashoka’s reasoning for wanting to keep such knowledge a secret, assuming it exists. Ashoka was also aware of devastating wars using such advanced vehicles and other “futuristic weapons” that had destroyed the ancient Indian “Rama Empire” several thousand years before. Dr. Reyna said that on board these machines, which were called “Astras” by the text, the ancient Indians could have sent a detachment of men onto any planet, according to the document, which is thought to be thousands of years old. The manuscripts were also said to reveal the secret of “antima”; “the cap of invisibility” and “garima”; “how to become as heavy as a mountain of lead.” Naturally, Indian scientists did not take the texts very seriously, but then became more positive about the value of them when the Chinese announced that they were including certain parts of the data for study in their space program! This was one of the first instances of a government admitting to be researching anti-gravity. clear whether this trip was actually carried out. 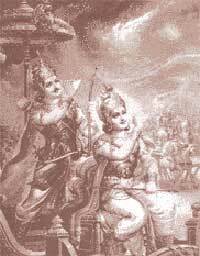 However, one of the great Indian epics,the Ramayana, does have a highly detailed story in it of a trip to the moon in a Vihmana (or “Astra”), and in fact details a battle on the moon with an “Asvin” (or Atlantean”) airship. doubt that Vimanas were powered by some sort of “anti-gravity.” Vimanas took off vertically, and were capable of hovering in the sky, like a modern helicopter or dirigible. Bharadvajy the Wise refers to no less than seventy authorities and 10 experts of air travel in antiquity. These sources are now lost. Vimanas were kept in a Vimana Griha, a kind of hanger, and were sometimes said to be propelled by a yellowish-white liquid, and sometimes by some sort of mercury compound, though writers seem confused in this matter. It is most likely that the later writers on Vimanas, wrote as observers and from earlier texts, and were understandably confused on the principle of their propulsion. The “yellowish- white liquid” sounds suspiciously like gasoline, and perhaps Vimanas had a number of different propulsion sources, including combustion engines and even “pulse-jet” engines. It is interesting to note, that the Nazis developed the first practical pulse-jet engines for their V-8 rocket “buzz bombs.” Hitler and the Nazi staff were exceptionally interested in ancient India and Tibet and sent expeditions to both these places yearly, starting in the 30′s, in order to gather esoteric evidence that they did so, and perhaps it was from these people that the Nazis gained some of their scientific information! 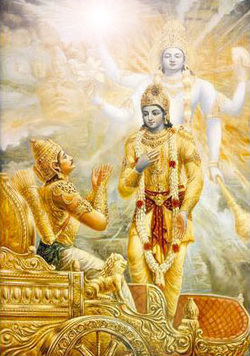 According to the Dronaparva, part of the Mahabarata, and the Ramayana, one Vimana described was shaped like a sphere and born along at great speed on a mighty wind generated by mercury. It moved going up, down, backwards and forwards as the pilot desired. In another Indian source, the Samar, Vimanas were “iron machines, well-knit and smooth, with a charge of mercury that shot out of the back in the form of a roaring flame.” Another work called the Samaranganasutradhara describes how the vehicles were constructed. It is possible that mercury did have something to do with the propulsion, or more possibly, with the guidance system. Curiously, Soviet scientists have discovered what they call “ageold instruments used in navigating cosmic vehicles” in caves in Turkestan and the Gobi Desert. The “devices” are hemispherical objects of glass or porcelain, ending in a cone with a drop of mercury inside. It is evident that ancient Indians flew around in these vehicles, all over Asia, to Atlantis presumably; and even, apparently, to South America. Writing found at Mohenjodaro in Pakistan (presumed to be one of the “Seven Rishi Cities of the Rama Empire”) and still undeciphered, has also been found in one other place in the world: Easter Island! Writing on Easter Island, called RongoRongo writing, is also undeciphered, and is uncannily similar to the Mohenjodaro script. Was Easter Island an air base for the Rama Empire’s Vimana route? The Vedas, ancient Hindu poems, thought to be the oldest of all the Indian texts, describe Vimanas of various shapes and sizes: the “ahnihotravimana” with two engines, the”elephant-vimana” with more engines, and other types named after the kingfisher, ibis and other animals. Unfortunately, Vimanas, like most scientific discoveries, were ultimately used for war. Atlanteans used their flying machines, “Vailixi,” a similar type of aircraft, to literally try and subjugate the world, it would seem, if Indian texts are to be believed. The Atlanteans, known as “Asvins” in the Indian writings, were apparently even more advanced technologically than the Indians, and certainly of a more war-like temperament. 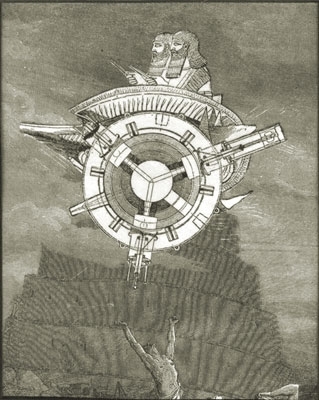 Although no ancient texts on Atlantean Vailixi are known to exist, some information has come down through esoteric, “occult” sources which describe their flying machines. Similar, if not identical to Vimanas, Vailixi were generally “cigar shaped” and had the capability of manoeuvering underwater as well as in the atmosphere or even outer space. Other vehicles, like Vimanas, were saucer shaped, and could apparently also be submerged. According to Eklal Kueshana, author of “The Ultimate Frontier,” in an article he wrote in 1966: Vailixi were first developed in Atlantis 20,000 years ago, and the most common ones are “saucer shaped of generally trapezoidal cross- section with three hemispherical engine pods on the underside. They use a mechanical antigravity device driven by engines developing approximately 80,000 horse power. It would seem that the Mahabharata is describing an atomic war! References like this one are not isolated; but battles, using a fantastic array of weapons and aerial vehicles are common in all the epic Indian books. One even describes a Vimana-Vailix battle on the Moon! The above section very accurately describes what an atomic explosion would look like and the effects of the radioactivity on the population. Jumping into water is the only respite. When the Rishi City of Mohenjodaro was excavated by archaeologists in the last century, they found skeletons just lying in the streets, some of them holding hands, as if some great doom had suddenly overtaken them. These skeletons are among the most radioactive ever found, on a par with those found at Hiroshima and Nagasaki. Ancient cities whose brick and stonewalls have literally been vitrified, that is-fused together, can be found in India, Ireland, Scotland, France, Turkey and other places. There is no logical explanation for the vitrification of stone forts and cities, except from an atomic blast. Futhermore, at Mohenjo-Daro, a well planned city laid on a grid, with a plumbing system superior to those used in Pakistan and India today, the streets were littered with “black lumps of glass.” These globs of glass were discovered to be clay pots that had melted under intense heat! With the cataclysmic sinking of Atlantis and the wiping out of Rama with atomic weapons, the world collapsed into a “stone age” of sorts, and modern history picks up a few thousand years later Yet, it would seem that not all the Vimanas and Vailixi of Rama and Atlantis were gone. Built to last for thousands of years, many of them would still be in use, as evidenced by Ashoka’s “Nine Unknown Men” and the Lhasa manuscript. That secret societies or “Brotherhoods” of exceptional, “enlightened” human beings would have preserved these inventions and the knowledge of science, history, etc., does not seem surprising.